Hartford - State Senator Art Linares (R-33) and State Representative Robert Siegrist (R-36) joined the Honorable Judge Barbara M. Quinn and students from Valley Regional High School at the state capitol on Tuesday. The students included sophomores taking civics and members of the schools political club. 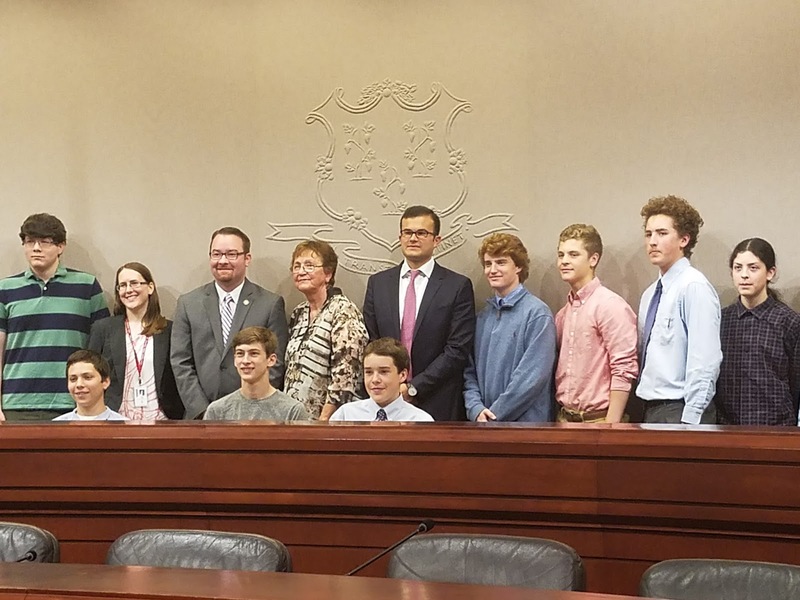 Rep. Siegrist said that, as a freshman legislator, he appreciates the opportunity to meet with young people from the district to talk about the legislative process and issues facing Connecticut. When asked how he would solve the state’s budget problem, Rep. Siegrist said he has learned that one of the most important things he can do is listen to the people he represents and then bring their concerns, ideas, and needs to the attention of his fellow lawmakers. He said he must be an advocate for his constituents in Hartford. Sen. Linares said that when talking to young people, he likes to tell them how young people can make a difference in their communities and the state. Having been first elected to the State Senate when he was 24, he said he wants people to know they are never too young to effect change. After questioning the legislators and Judge Quinn, the students, their teachers, and the jurist toured the capitol to learn various historical facts about the building and state. Rep. Siegrist serves the communities of Chester, Deep River, Essex, and Haddam. Sen. Linares represents the communities of East Haddam, East Hampton, Essex, Haddam, Lyme, Old Saybrook, Portland and Westbrook.